Earlier this week it was reported that the Trump administration is preparing executive orders to reduce America's funding commitments to the United Nations. Observers speaking to the RIA Novosti news agency suggest that the move is entirely in line with Trump's campaign commitments to find bilateral solutions to problems in international affairs. The first of the two draft executive orders, obtained by the New York Times, calls for the termination of billions of dollars in US funding to UN agencies which do not meet certain criteria or are contrary to US policy. The White House's proposal includes cutting off aid to UN agencies that provide full membership for Palestine (a provision that is already US law), an end to any US support for programs which may help Iran or North Korea circumvent sanctions, and the cutting off of aid to organizations thought to be controlled or influenced by state sponsors of terrorism or countries that systematically violate human rights. The criteria also call for US funding to be cut off for any UN programs which fund abortion. The draft executive order proposes the creation of a committee to make recommendations for funding cuts for UN peacekeeping operations, the International Criminal Court (which US does not provide funding for as things are), and development assistance to countries that "oppose important United States policies." The second draft executive order is more straightforward, and simply requires a review of all existing and pending multilateral treaties to which the US is or will be party, and asks for recommendations on which treaties can and should be abrogated. Specifically, the document calls for a review of those treaties which are not "directly related to national security, extradition or international trade." The first of the two documents calls for "at least a 40 percent overall decrease" in the funding that remains after those agencies and programs that don't meet the White House's criteria are weeded out. 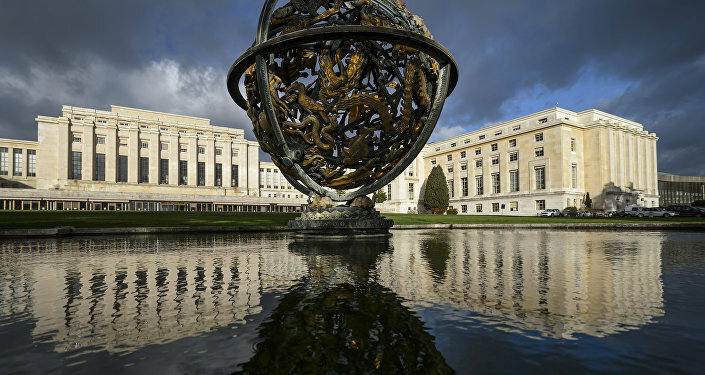 According to the Times, "if President Trump signs the order and its provisions are carried out, the cuts could severely curtail the work of United Nations agencies…"
According to the UN, the US provides about 22% of the intergovernmental organization's total budget, including about a quarter of the funding for UN peacekeeping operations. 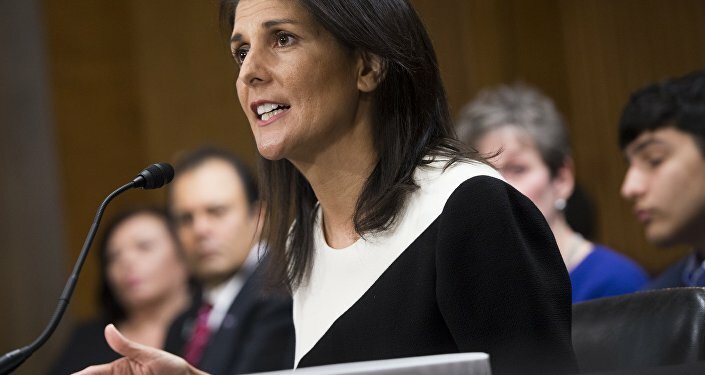 On Thursday, UN spokesperson Stephane Dujarric said that the intergovernmental organization was ready to start discusssions regarding possible cuts in US assistance with incoming US envoy Nikki Haley. Asked to comment on the draft executive orders, Higher School of Economics professor Timofei Bordachev said that they were entirely in line with Trump's line of thinking. "Donald Trump continues to show persistence and consistency. He's once again confirming that he does not plan to give up on what he promised voters during the election campaign. The criteria through which he proposes maintaining or reducing US funding for international organizations is consistent with [US] conservative principles." Furthermore, unlike the New York Times, Bordachev doesn't believe that the executive orders, if they are implemented, would seriously undermine the work of the UN or other international organizations. Political analyst Yevgeny Minchenko agreed with his colleague, saying that what Trump is doing seems logical based on his campaign promises. For example, "if voters supported Trump's stance on abortion, and he makes this position part of the criteria for funding certain international organizations, then he is acting in accordance with the will of the American public." "The US today is the main donor to international organizations, and the President is reminding everyone that 'he who pays the piper calls the tune'. This is of course also a kind of attempt to put pressure on the UN, and an attempt to figure out the extent to which funding matches America's national interests," Minchenko added. According to the expert, the Trump administration will probably make an attempt to push the Security Council to modify the resolution prohibiting new Israeli settlements on Palestinian land that was adopted in late last month, and which the Obama administration did not veto. In this situation, additional leverage with the UN won't hurt Trump, Minchenko stressed. For his part, Dmitri Abzalov, president of the Moscow-based Center for Strategic Communications, think tank, suggested that the logic behind the draft executive orders is more significant. These documents, Abzalov said, were part of an attempt by Trump to seriously reshape the entire system of international security and relations between nations within the framework of international organizations. According to the expert, Trump, as an experienced businessman, is trying to make funding for international agencies and organizations conditional on their ability to solve the specific problems which they are established to deal with. "For the first time, international organizations face specific criteria regarding the nature of their activities, depending on which their largest donor, the US, will either continue to fund or reduce their funding. This is the approach proposed by Donald Trump," Abzalov said. Furthermore, the analyst suggested that Trump is not only trying to end the practice of making 'blind' commitments to international projects, but also the myth of the overarching importance and effectiveness of international agreements, instead offering bilateral agreements that are more transparent and stringent in their standards. "This is in many ways a revolutionary policy, but one that is fraught with serious dangers for the United States," Abzalov emphasized. "US financing can be 'intercepted' by other countries, like China for example. And then we will be speaking not so much about the weakening of the United Nations, so much as the weakening of the position of the United States in international organizations," the analyst concluded.